I initially learned about DIMA while conducting my doctoral research at INRIA and the University of Paris-Sud. A DIMA Postdoctoral Researcher visited our team in France and presented the DFG funded Stratosphere project. My first impression about DIMA was that they were working on high impact research and that they placed great value in the development and engineering of real-world systems – something that is rare, in my opinion, among European research groups. What were you working on during your Postdoctoral Research at DIMA? I spent three very productive years at DIMA from 2013 through 2016. Jointly, with four doctoral students (three from DIMA and one from KTH in Stockholm), I worked on two research threads: one on Language Models & Optimisation for Data-parallel Analytics and the other on Scalable Stream Analytics. I collaborated with Alexander Alexandrov and Andreas Kunft (both DIMA doctoral students) on the optimisation of data-parallel programs, in the context of the Emma language [1,2]. Emma is a new declarative domain-specific language and optimiser that enables the specification of data-parallel programs using a data collection abstraction. Programmers write fairly-simple collection-processing programs in Scala, which upon compilation yield optimised data-parallel Flink and Spark pipelines. Currently, the language is evolving to support Matrix and Vector data types , which make use of specialised physical operators, such as BlockJoin  and can be used in hybrid relational and matrix-oriented processing programs. In addition, I collaborated with Jonas Traub (another DIMA doctoral student) and Paris Carbone (a doctoral student at KTH) on challenging stream processing problems. Leveraging our experience with Apache Flink , we worked on the development of an efficient aggregator for user-defined streaming windows . Furthermore, we surveyed several streaming systems , opted to move away from existing streaming architectures and instead explored alternative approaches to efficiently gather sensor network data . Looking back, I could not be happier with our research results! It was especially fun to work on new research areas, which were orthogonal to my doctoral research. How would you differentiate DIMA from other research groups in Germany or across Europe? skills via teaching duties (e.g., by lecturing, supervising students). Based on my experiences at DIMA, I was well prepared for my current position as an Assistant Professor. DIMA has great relations with the software industry (particularly the database systems community) and enables its members to learn what is relevant beyond academia. Did DIMA help you advance your career? Tenure-track positions in academia are typically offered to researchers who have demonstrated the ability to produce research results of high impact, attract thirdparty funding, possess a research vision, and experienced in teaching and advising students. DIMA helped me to develop in all these areas. During my Postdoc appointment, I authored several papers at top-tier conferences. I am steadily growing into the role of a doctoral student advisor. I wrote several research proposals, two of which were funded. I managed projects, interviewed candidates for open positions, and collaborated with many teams. In addition, I was the primary instructor in a graduate course in Database Technology (akin to Advanced Databases at other universities) for Master’s students over two semesters. These experiences have enabled me to become a well-rounded professional and prepared me to pursue an academic job. What advice would you give to future Postdocs who want to enter the job market? have a life beyond work. 1 Today, top universities request a candidate’s Top-5 publications, not an entire (DBLP) bibliography. It is better to publish papers with a greater impact potential than to publish tons of papers in lowranked conferences each year. 2 You will not only be proud of your results, but you will attract funding far more easily, and put third-party grant funding (possibly public taxpayer monies) to better use. 3 Invariably, we learn a lot from our students too. 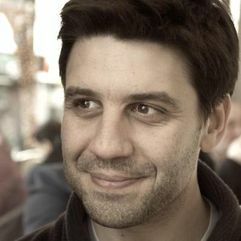 As of September 2017, Asterios Katsifodimos is an Assistant Professor at TU Delft. Most recently, he was a Senior R&D Engineer at the SAP Innovation Center in Berlin, Germany, where he worked on the design and implementation of scale-out data management architectures for SAP's Leonardo ML Foundation. Between 2013-2016, he held a Postdoctoral Researcher appointment (later Senior Researcher position) in the Database Systems and Information Management (DIMA) Group at TU Berlin led by Prof. Volker Markl. While at TU Berlin, his research focused on the development of language models and systems for scalable analytics. In 2013, Asterios earned his PhD from the University of Paris-Sud and INRIA Saclay for his research on distributed database architectures based on materialised views, under the supervision of Prof. Ioana Manolescu. Earlier in his career, he was a full-time research member in the High-Performance Computing Systems Lab (HPCL, now LINC) at the University of Cyprus led by Marios Dikaiakos. For the latest about Asterios visit asterios.katsifodimos.com. ”Implicit Parallelism through Deep Language Embedding,” Alexander Alexandrov, Andreas Kunft, Asterios Katsifodimos, Felix Schüler, Lauritz Thamsen, Odej Kao, Tobias Herb, and Volker Markl, Proceedings of the ACM SIGMOD International Conference on Management of Data, May 31 - June 4, 2015, Melbourne, VIC, Australia. ”Emma in Action: Declarative Dataflows for Scalable Data Analysis,” Alexander Alexandrov, Asterios Katsifodimos, Georgi Krastev, Andreas Salzmann, and Volker Markl, Proceedings of the ACM SIGMOD International Conference on Management of Data (Demo Track), June 26 - July 1, 2016, San Francisco, USA. ”Bridging the Gap: Towards Optimizations across Linear and Relational Algebra,” Andreas Kunft, Alexander Alexandrov, Asterios Katsifodimos, and Volker Markl, International Workshop on Algorithms and Systems for MapReduce and Beyond (BeyondMR), in conjunction with SIGMOD/PODS in San Francisco, July 2016. ”BlockJoin: Efficient Matrix Partitioning Through Joins,” Andreas Kunft, Asterios Katsifodimos, Sebastian Schelter, Tilmann Rabl, and Volker Markl, Proceedings of the VLDB Endowment, Vol. 10, No. 13, to be presented at VLDB 2018. ”Apache Flink: Stream and Batch Processing in a Single Engine,” Paris Carbone, Stephan Ewen, Seif Haridi, Asterios Katsifodimos, Volker Markl, and Kostas Tzoumas, IEEE Data Engineering Bulletin (Special Issue on Next-gen Stream Processing), December 2015, Vol. 38 No. 4. ”Cutty: Aggregate Sharing for User-defined Windows,” Paris Carbone, Jonas Traub, Asterios Katsifodimos, Seif Haridi, and Volker Markl. The 25th ACM International Conference on Information and Knowledge Management (CIKM 2016). ”Large-Scale Data Stream Processing Systems,” Paris Carbone, Gábor E. Gévay, Gábor Hermann, Asterios Katsifodimos, Juan Soto, Volker Markl, and Seif Haridi, Book Chapter in the Handbook of Big Data Technologies 2017 (Elsevier), pp. 219-260. ”Optimized On-Demand Data Streaming from Sensor Nodes,” Jonas Traub, Sebastian Bress, Tilmann Rabl, Asterios Katsifodimos, and Volker Markl. The 8th ACM Symposium on Cloud Computing 2017 (SoCC '17').